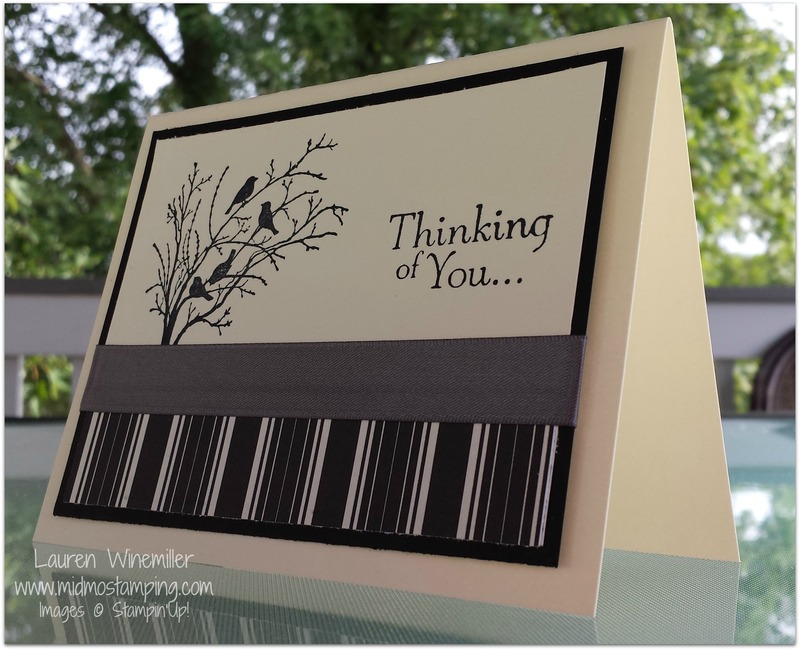 In my opinion, sympathy cards can be the most difficult to create, as you want a card that conveys not just a message, but an emotion. While these are the types of cards I wish I didn’t have to send, they are also some of the most important to have on hand. 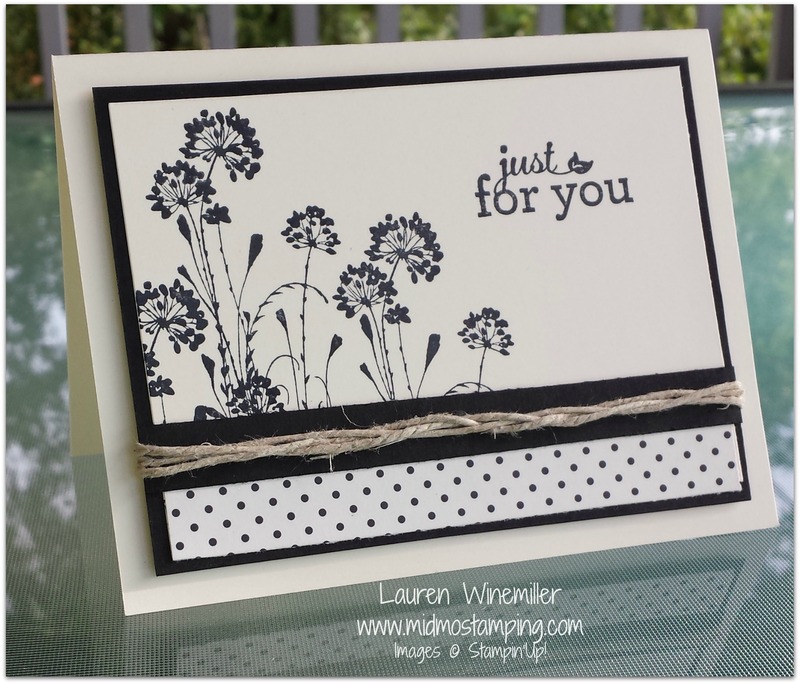 Today’s cards are clean and simple and feature two of my new favorites: Modern Medley dsp and Serene Silhouettes stamp set. You can never go wrong with Basic Black and Very Vanilla–a classic combination in my book! I added some retired satin ribbon and hemp twine for the final touch. 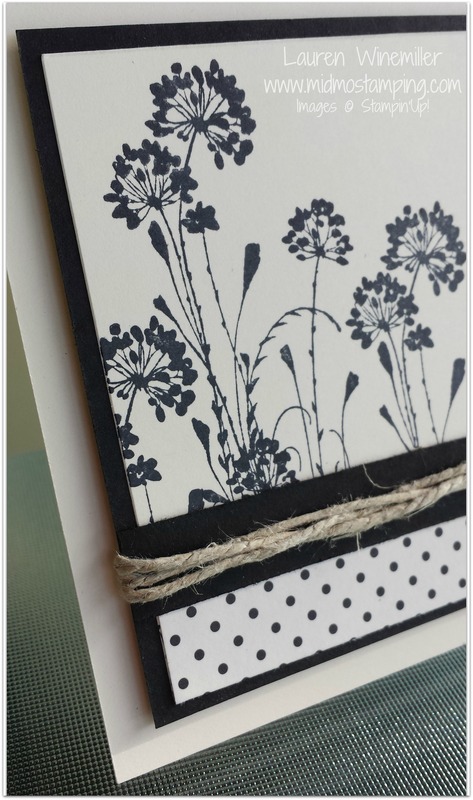 You can stamp this card with me at Tonight‘s Card Class–Yipee!!! 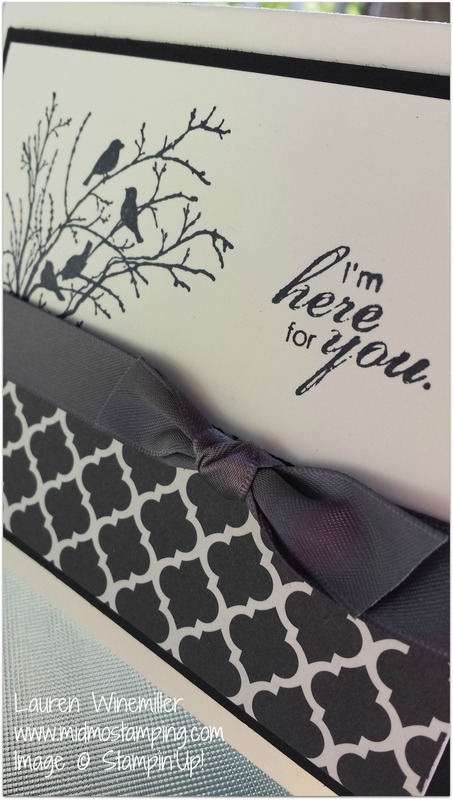 *** Sign Up Now for my Serene Silhouettes Card Class —This Friday Night — to create 3 cards featuring the Serene Silhouettes Stamp Set! Buy 3 Get 1 FREE Designer Series Paper Promotion—Only 2 Days Left!!!! Stock up on your favorites today!